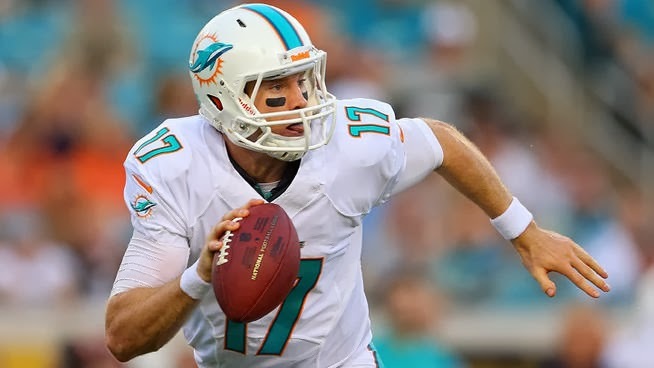 The objective for Miami Dolphins quarterback Ryan Tannehill this past Sunday was something very simple, beat the New England Patriots. This was something he has never done in his career and the Dolphins haven’t done at home since 2010. When the clocks hit 0 Tannehill arose victorious with 25 completions, 312 yards and 3 touchdowns. The goal was to win but he made a little franchise history in the process. You are reading that tweet correctly, Tannehill has became the 1st quarterback not named Dan Marino to eclipse 23 touchdowns in a season. 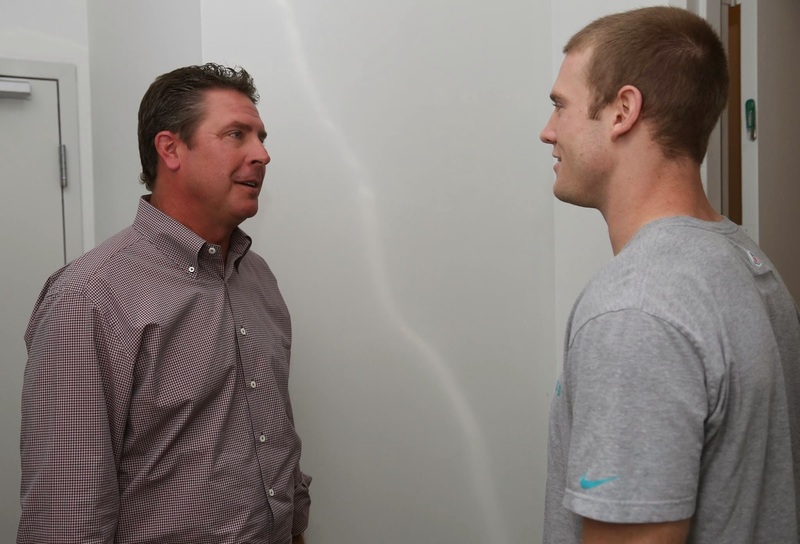 Bob Griese never did that, Chad Pennington never did that, Earl Morrall never did that but Tannehill did. Year after year of hearing South Floridians complain about awful play under center they finally have a guy who they can be confident about leading the Dolphins offense. 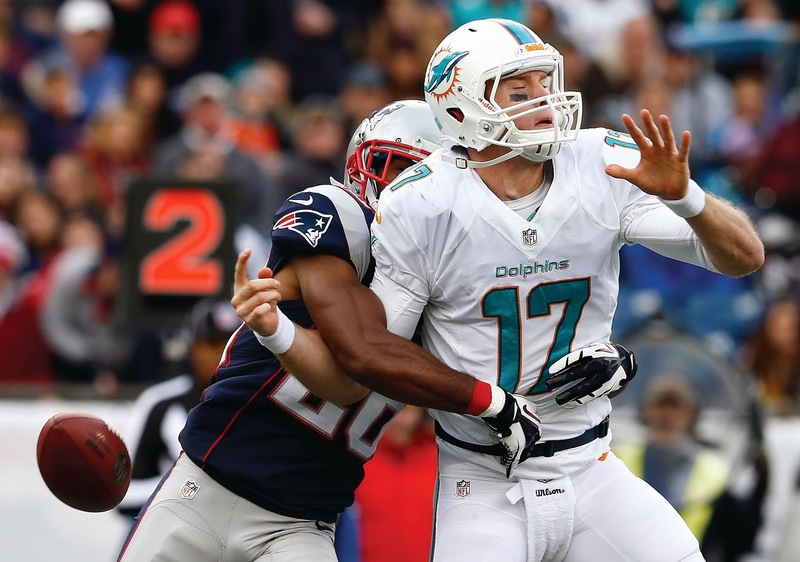 Yesterday Tannehill showed his trademark toughness as the Patriots were pressuring him seemingly on every play. They collected 4 sacks and hit Ryan many more times without the ball but the former Texas A&M Aggie was unfazed in the pocket. He “spread the wealth” completing at least 1 pass to 10 different players yesterday (Mike Wallace, Michael Egnew,Brian Hartline, Rishard Matthews,Marlon Moore, Marcus Thigpen, Charles Clay, Daniel Thomas, Dion Sims and Lamar Miller). He is a smart quarterback but to be more specific he is the 32nd starting quarterback in the near half century of Miami Dolphins football history. He is the 17th starting quarterback since Dan Marino and the 1st since Marino to have four 300 yard passing games in a season. So what you are watching is not the 2nd Marino but the first Ryan Tannehill and this is a guy who if you watched the game yesterday, saw that he can lead a football team to a huge win versus a hated division rival.